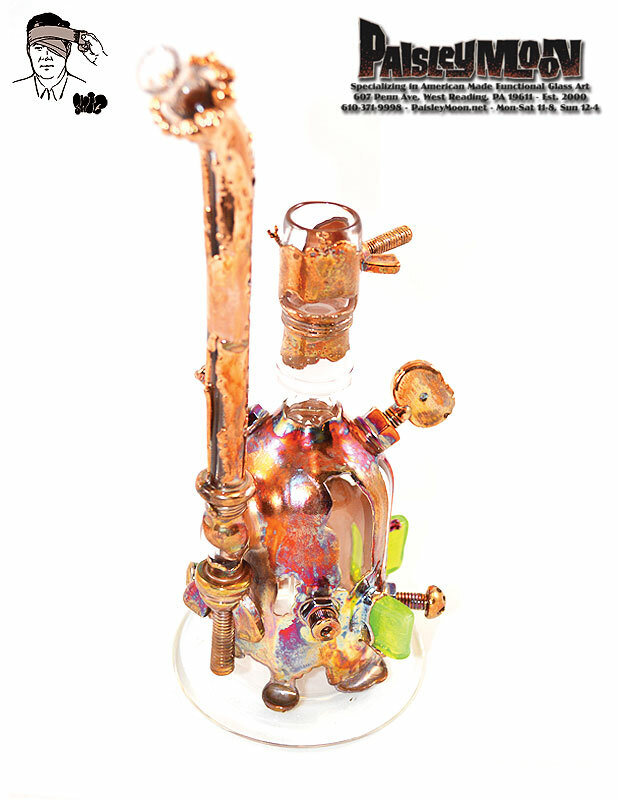 ROOR only uses the purest, highest-quality borosilicate glass and are renowned by glass connoisseurs the world over for their workmanship, durability, and results. Due to long-term design studies and functionality tests, ROOR water verticals allow for an optimum of smoking pleasure. 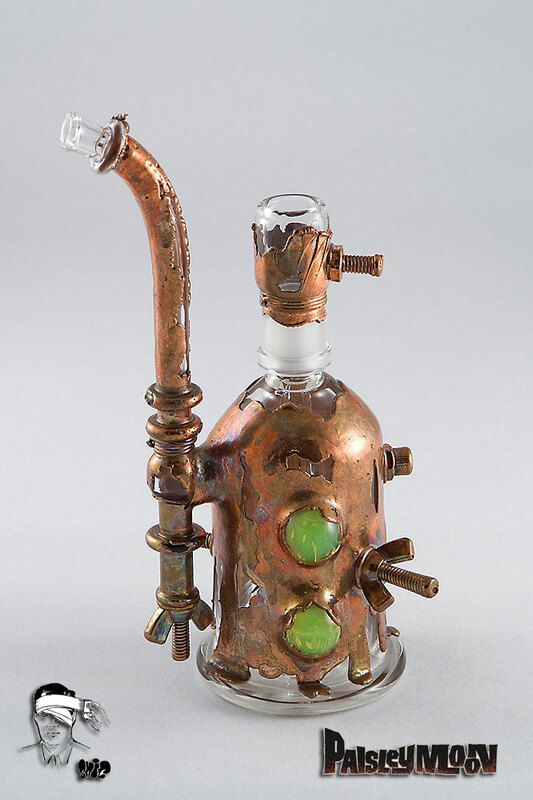 The ROOR models’ different water/volume ratios guarantee the satisfaction of every kind of smoker characteristics. The joints needed for the sealing of down-tube and pipe body and/or reservoir and down-tube originate from the laboratory sector and are produced in Germany with highly sensitive grinding machines and an accuracy of a 1000th millimetre. Only these high quality joints guarantee a 100% density. ROOR offers models from 3.2mm wall-thickness up with bistable joints. This means that the joint used has a stronger wall-thickness and a mass increased by 52%. The bistable variation therefore increases the stability at this point enormously. 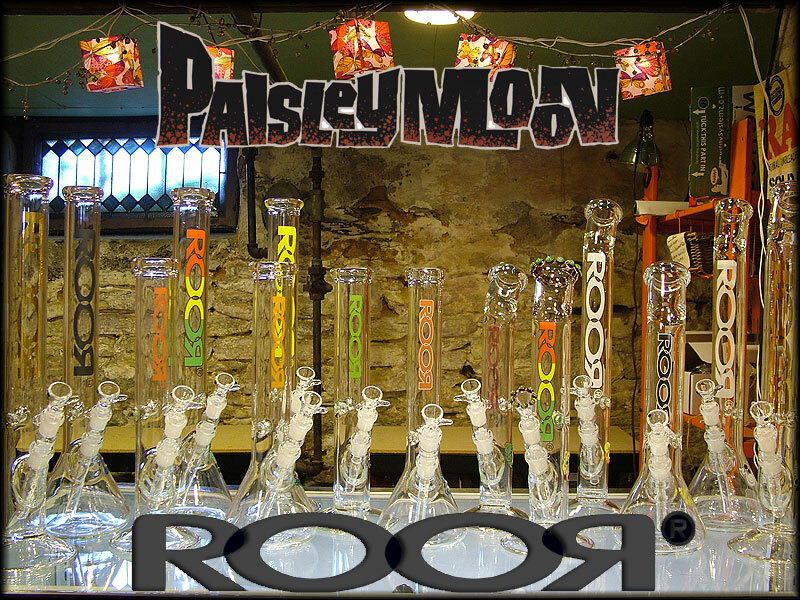 Fresh for July 2011, the ROOR selection here at Paisley Moon includes 14" and 18" tall models, with straight bottoms, beaker bottoms, straight tops, and bent tops. 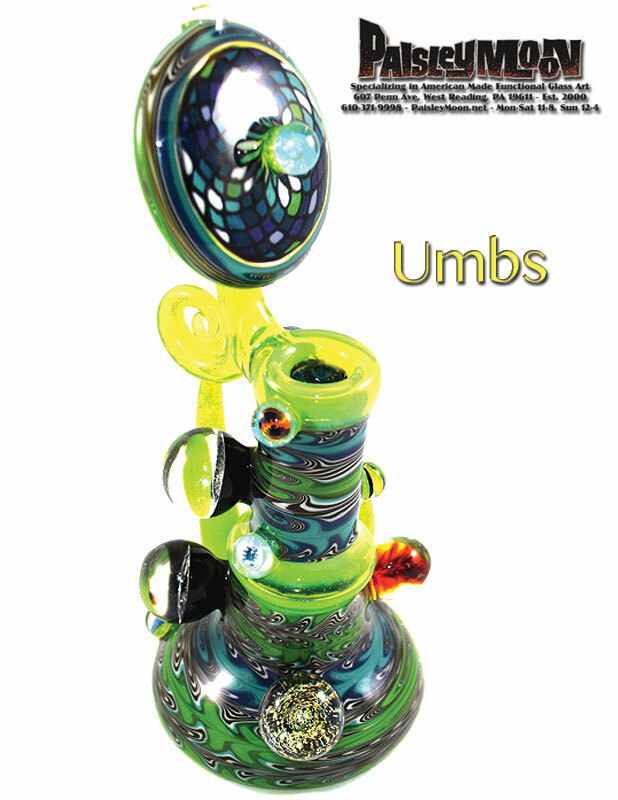 We also carry 19mm ROOR downstems from 3.75" - 6" long. You can also choose from Small, Medium, and Large 19mm Slides, and 14mm & 19mm Euro slides. We're working to add each individual ROOR item we carry on this site, and hope to begin adding them by mid-July.